What is so special and unique about your shoes how do you compare in your design from the big names in shoes such as Loubutin and Blahnik? The main difference I feel is that as an architect I design through a process driven approach rather than ‘outside in’ approach to aesthetic. 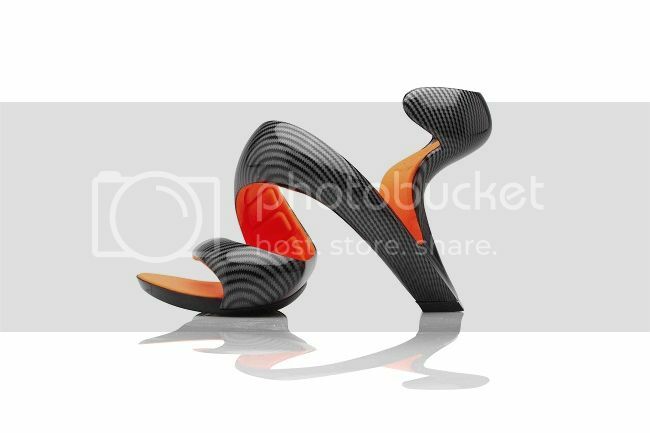 By this I mean in the case of the Mojito shoe I did not start thinking I wanted to design a twisty curvy shoe. I started with the shape of the natural foot and started to work out the loads through the body and what materials and shapes could protect and support the foot. The shape of the mojito design was a result of this process. In your video you said that you had been drawing shoes since 2006, what is you fascination with women’s shoes? Initially it was simply the design challenge. I felt that a traditional shoe had not been fully examined as a structure and that there was potential for some new discover. I asked myself what is the next sandal? heel shape and if we designed a shoe today with 3D technology and the latest materials what would it look like? how would it be made? So I actually started making the first concept on my own foot with paper and card. Then came the sketches. What inspired this lime peel twist shape? It was simply a result of the design process to protect the ball of the foot, lift the heel and then the two parts had to be connected together and prevent the foot from sliding forward. So in this case “Form follows function”. You’ve used some really innovative design techniques, how did you evolve this unique design? In my architectural company we have used 3D printing for many years so when I designed the first prototype the only way I knew how to make it was to print it. 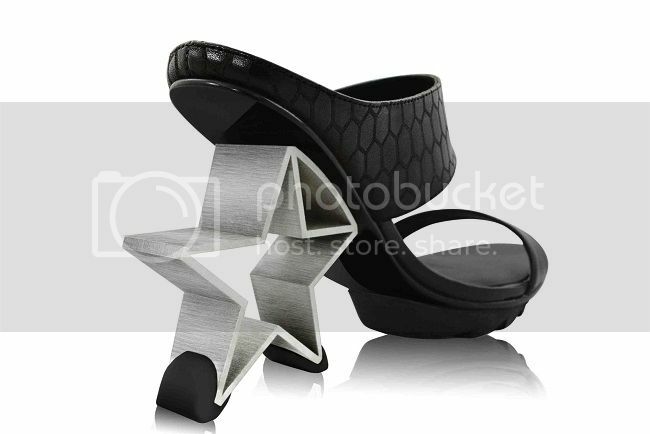 Only looking back now did we discover we were the worlds first designer to 3D print a wearable shoe for the catwalk. We use 3D cad (computer aided design) each day in the studio and this is how we always worked. We have done some tests with our shoes using augmented reality and also app development. 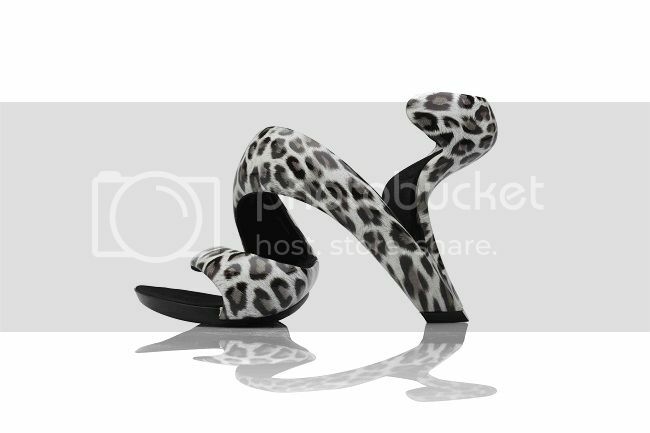 How long did it take before you had a shoe that a women could comfortably (ish) walk in your design? It look lots of testing, 3D printing samples and many wear tests. Each time we made very small fractions of a mm change and this has a big impact. I had found the solution of the 3D moulded padding but trying to find a factory to produce this part was complicated as it was not traditional approach. For final production you have an amazing range of colours and finishes can you talk about these creative choices? I love colour. It is a fascinating aspect of perception as each colour will mean something different to each person. Also each person will even see the colour differently. I use colour to enhance the 3D nature of the shoe and the contrast lining really helps with this. The surface of Mojito is very sculptural and the various finishes catch the light in wonderful ways. The black chrome is one of my favourites as it is stealthy but has an elegance and depth. What made you so determined to make these shoes as both a creative an commercial venture? It was there to be done and It had not been done before. Also I do not see the point of an idea if you don’t share it? Everything we do as designers has to count or the next project does not exist - unless you have very wealthy parents who fund non profitable creative ventures. Given that type of resource things. What do women say about your shoes? People love the Mojito shoe for its sculptural form, colours and its super comfy natural fit. What new ideas for shoes have you got brewing in your architect’s mind? I designed 5 unique styles at the same time as the Mojito shoe. I have been developing these but we knew we must launch the brand with the most complicated and bold of the collection. Amongst these new styles are a couple of wedges, boots and new sandal / heels. We do not operate within the traditional footwear factory base and our development time is long as we are pushing the boundaries and experimenting with lots of new materials and techniques. Also coming along soon is the 3rd collaboration with Disney Marvel. So far we worked on special edition Mojito shoes for Iron Man 3 and for Thor 2.